Si leísteis esta mañana el artículo que publicamos hablando de una posible vulnerabilidad de Dolphin Browser HD, sabréis de que se sospecha que a través de la funcionalidad que lleva añadida llamada Webzinela información de navegación de los usuarios podría ser almacenada en un servidor externo. En un principio la gente de hizo un pequeño llamamiento a través de Twitter para que los que tuviesen dudas contactasen con ellos a través de un correo electrónico. Sin embargo, y probablemente presionados por las reacciones de los usuarios han publicado una extensa nota en la que dan los detalles de por qué Webzine no almacena información de los usuarios. En términos de seguridad, en una escala de uno a diez, este es un cero. Dolphin no guarda el historial de navegación ni información personal del usuario y nunca lo han hecho en el pasado. At Dolphin, privacy and user safety has always been (and will continue to be) our top priority. A few days ago, it was called to our attention that our newest version of Dolphin HD for Android 7.0 relays browsing information to a Webzine-specific URL. This information was never stored on our servers, and no browsing information has been captured about our users. Webzine simply performs an ancillary check if we can view current webpage in Webzine format . It is not critical and we have temporary removed this functionality in our latest update yesterday. As background, with Dolphin HD for Android 7.0 we rolled out a handful of updates to our popular Webzine feature. One of these is a “Toggle Webzine” button to view your current webpage as a Webzine. With roughly 300 Webzines supported at the moment, it was necessary for the client to check the current user URL against a database housing these 300 Webzine columns, which is what user Fnorder at XDA-Developers referred to. None of these URLs have ever been stored by Dolphin, instead being used to cross-index if a Webzine for the current site exists. If it does, the current site is immediately converted to Webzine format; if not, it remains the standard mobile site. Again, none of this process is stored on the backend of our servers and we are deeply sorry that this was not made clear to our users from the beginning. In terms of security, on a scale from one to ten, this is a zero. Dolphin does not store browsing history nor user personal information and we have never done so in the past. While it has been immediately disabled, we do think that the “Toggle Webzine” feature is a useful one for exploring the Web and will be adding an “opt-in” feature in forthcoming releases to enable this function. The code and URL-checking process will be made very clear to users, and will only be enabled if a user wishes. Again, our update last night have temporary removed this functionality to avoid any confusion or concern you may have. We are delighted that our user community is growing to new heights daily. We continue to learn from you, our users, and will always be responsive to your comments and suggestion. Webzine is one of our favorite features, and we look forward to your continuous suggestion Please contact support@dolphin-browser.com. 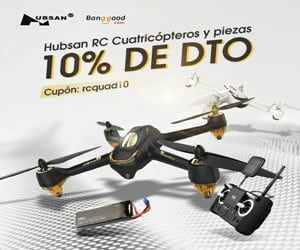 Nosotros tal como avisábamos en el post anterior confiamos en el Dophin Team y seguiremos usando sus fantásticos navegadores y especialmente los orientados a nuestros tablets.